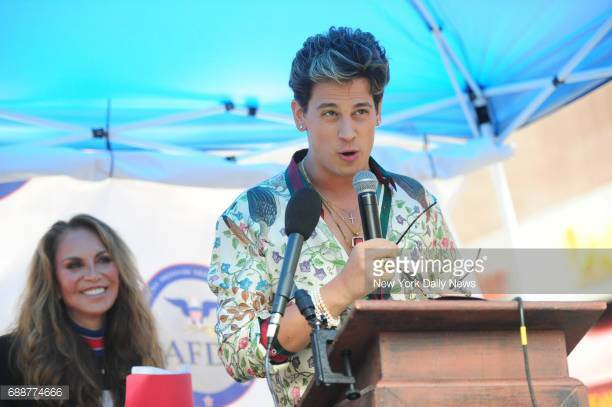 Milo calls Islam ‘barbaric, alien’ after Christchurch. Banned from Australia. Sheik Omar Abdel Kafi calls 9/11 and Charlie Hebdo attacks ‘comedy films’. Not banned. Anyone spot the difference in the nature of the victims? The internet is being scrubbed from evidence: the al Noor mosque in Christchurch was a den of terrorism. Here’s the file from the archive. 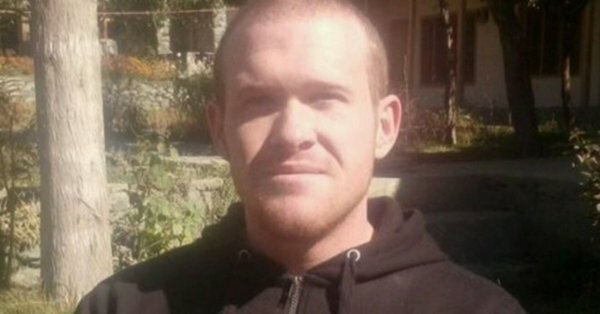 Brenton Tarrant, from Grafton in New South Wales, alleged to have killed 50 people in the Christchurch terror attacks, is facing further charges, New Zealand’s Prime Minister has said. 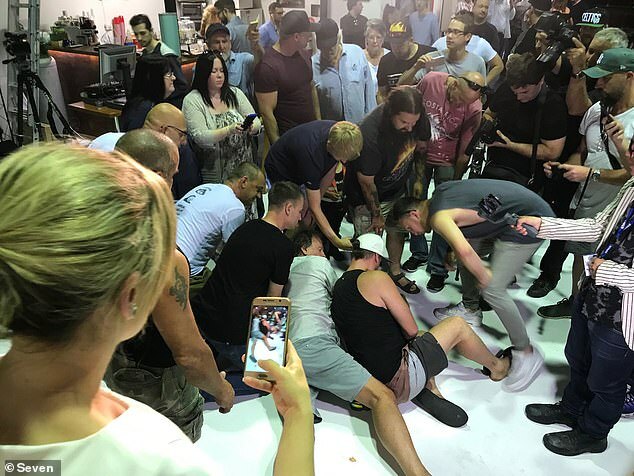 The 28-year-old remains the only person to be charged with murder over the attack on the Christchurch mosques on Friday. Houda, who is the former lawyer of Sydney Lindt Cafe siege gunman Man Haron Monis, has offered to represent the teenager free of charge. 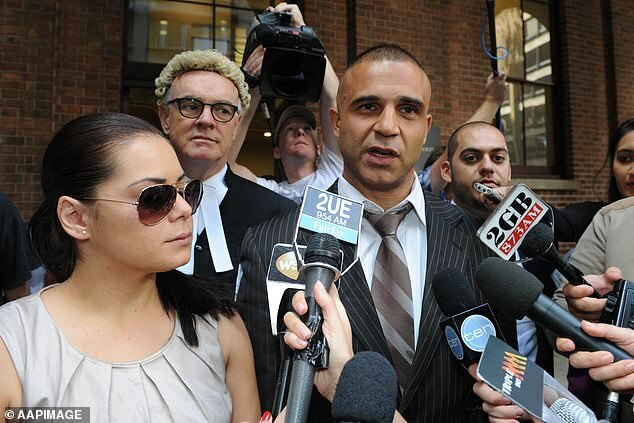 Adam Houda, known as the go-to lawyer for men Mohammedans charged with terrorist-related offences, is now demanding Mr Anning face charges for his actions. Turns out the bloke who “confronted” Senator Fraser Anning last night in the airport, was convicted TERRORIST, Zaky Mallah. That’s who the left is praising today. Looking forward to celebrating the next left-wing politician being egged. He better not fight back. Because that’s the new standard, apparently. 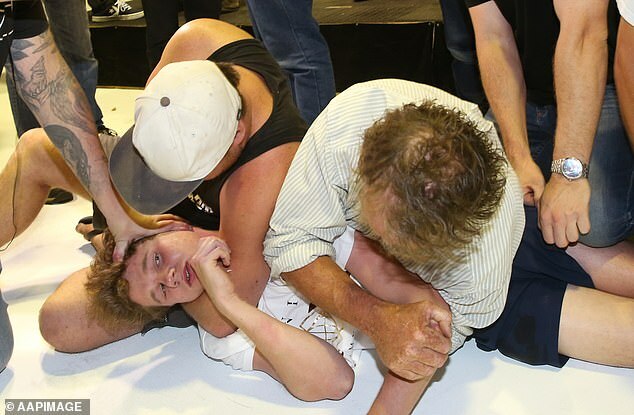 Another man could be heard saying to remove his hand from the boy’s neck. ‘The real cause of the bloodshed on New Zealand streets today is the immigration program which allowed Muslim fanatics to migrate to New Zealand in the first place,’ his statement said. 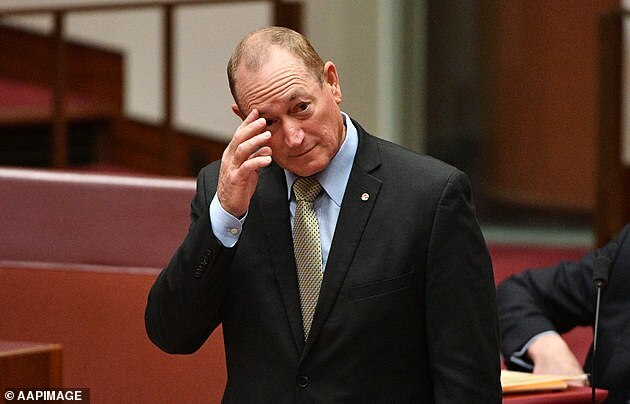 ‘Senator Fraser Anning has no place in the government of our democratic and multicultural country,’ the petition says. No place for dissent? That’s what you call a dictatorship. These people are stupid. Resisting Islamisation is a duty, not a crime. The petition speaks about Mr Annging’s statements about the Christchurch attack. ‘We call on the Australian government to expel this man who blames victims for their own violent deaths, and uses references to genocide to further his hateful agenda,’ the petition said. Wherever there are Mohammedans there is bigotry and hate speech. Prime Minister Scott Morrison also hit out at the independent senator’s comments in a tweet on Friday. Labor frontbencher Tony Burke told the ABC ‘the normalisation of bigotry is something that is not only confined to him’. ‘We need to call it out, we need to make sure that no way any member of parliament fosters it. He wants the conflict and he wants the notoriety,’ he said on Saturday. 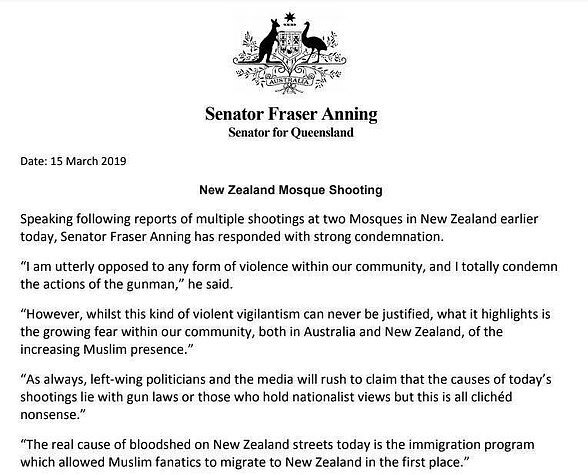 ‘As we read in Matthew 26:52, ‘all they that take the sword, shall perish by the sword’ and those who follow a violent religion that calls on them to murder us, cannot be too surprised when someone takes them at their word and responds in kind,’ Senator Anning concluded. Annings is right. All those who smear him are in the camp or our enemies. … required to be arrested 7th time and this time permanently incarcerated !!! (Still around – courtesy of His Masters Puppets) !!! ∙ Traitor (W)academics Indoctrinated students ! ∙ protectors against Traitor “Authorities” ! if they charge assaulter William Connolly “Bad Egg Boy” ! ∙ enforcers for Traitor “Authorities” ! 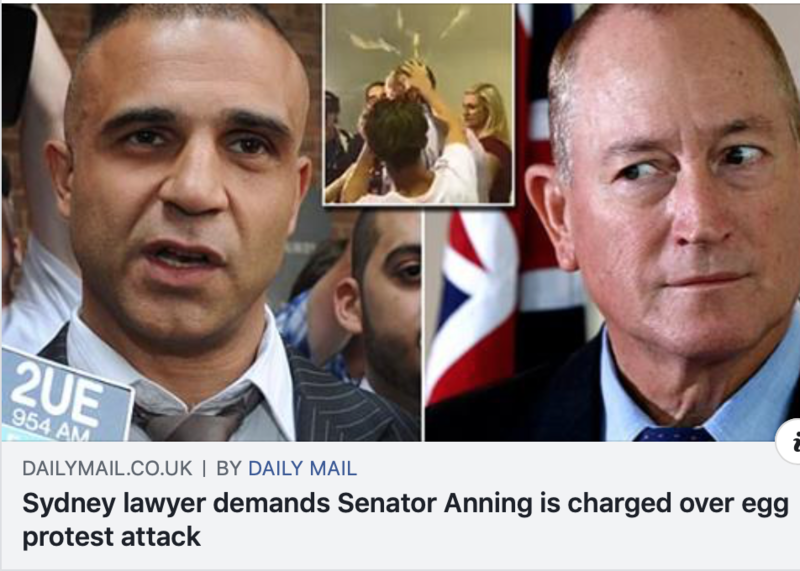 if they charge defending himself Fraser Anning !